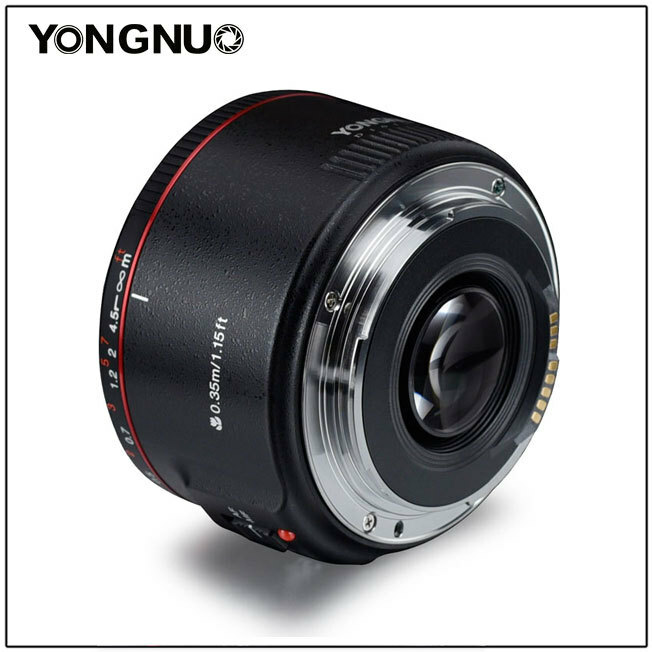 Successfully Added YONGNUO YN50mm Large Aperture Auto Focus Lens for Canon EOS 70D 5D2 5D3 600D to your Shopping Cart. F1.8 Bright Aperture-bokeh effect can be achieved easily, bringing you more fun during photography. 7pcs Aperture Blades-helping you to take picture of circular defocused spots or 14-star effect. Support Auto & Manual Focus-meet different practical requirement. With built-in focus distance indicator. 0.35m Closest Focusing Distance-you can get closer to the object for photography and get bigger image. Metal Mount-it is wearable, corrosion-resistant, and highly consistent with the camera body.